Sometimes I sit and reflect back on some of the devotionals I wrote years ago. Sometimes, I even sit back and reflect on memories of old. Why? Because they help me to see one of two things. Either I’ve grown over the years or I’m still in the same place. And sometimes, it’s good for you to reflect back on some things. See, when you take a retrospective look back over your life, you should be able to see the same things I’ve listed above. And if just so happen to find that you’re still stagnant in the same place, doing the same thing that’s producing the same unyielding results; then you need to do some soul-searching. Baby, we aren’t meant to stay in the same place forever. This is why we go from baby to toddler to youth to teenager, from there to young adult to eventually becoming an adult and then an elder (senior)? Why do you think you progress year after year in school? Why do you think you have promotions on the job? Why do you think ministers/preachers eventually elevate to level of pastor and all those other fancy titles? Even teachers elevate to principal, professor, dean and etc. This is because we aren’t meant to study the same assignment always. Beloved, there’s levels to this. However, you need to understand this … you can’t elevate unless you’re prepared. Nope! You cannot get promoted unless you have the knowledge to handle the next level. Well, you could but then you’d be setting yourself up for disaster/failure. This is why you have to stay on your level until it’s time to go to the next one. Think about it. Don’t you wait on the level you are until the elevator comes? Then when you get in, you still have to wait until the door closes and then you wait some more until you reach the next level? And sometimes when you’re going to level 3 from level 1, the elevator may stop on level 2. Why? Well, you may need a little time to get yourself together. Don’t rush the move. Yes, I get it. You may not understand where you are or why God even placed you there. You may even be looking around and it seems nothing you’re doing is working but guess what, you still need to stay until God says move. If you move prematurely, you could have some adverse effects on your progression. The bible says in Psalm 27:14, “Wait patiently for the LORD. Be brave and courageous. 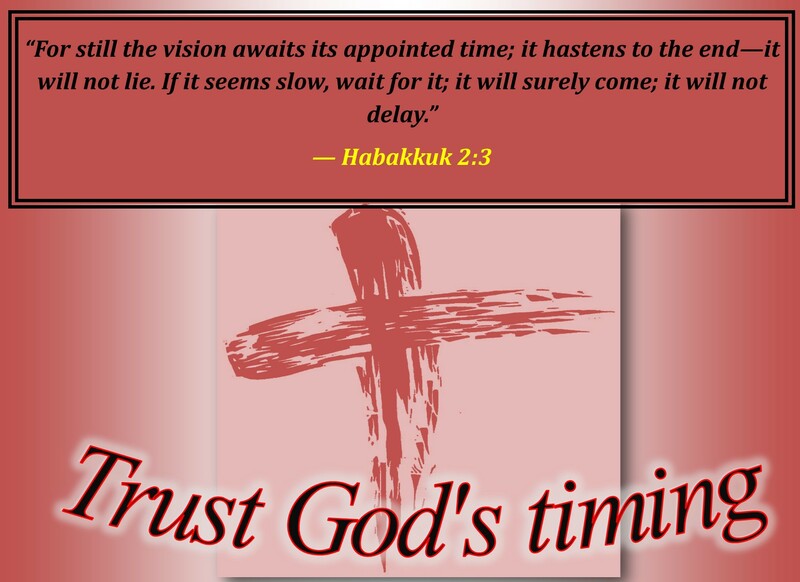 Yes, wait patiently for the LORD.” If that’s not enough, read Habakkuk 2:3, “For still the vision awaits its appointed time; it hastens to the end—it will not lie. If it seems slow, wait for it; it will surely come; it will not delay.” Yes, there’s levels to this but you need to prepare for them.